When You Hire Our Master Plumbers, You Get The Job Done Right the First Time. When it comes to plumbers, "courteous" is not usually the first word people think of. However, when you enlist the help of Ken’s Plumbing & Heating, you will receive the friendly and respectful service you deserve. Not only are we a team of trusted professionals, but we are also a family. And we are here for you. Our East Meadow plumbing professionals are top-rated and have been recognized throughout the local community. Our first priority is ensuring that you are completely satisfied with our work—we would even be proud to exceed your expectations. Since 1989, individuals throughout the East Meadow area have been entrusting their commercial and residential plumbing needs to our friendly and dedicated team. Allow us to be your plumbers for life. You won’t be disappointed. You can count on Ken’s Plumbing & Heating to get the job done right! Ken’s Plumbing & Heating is a proud dealer of Kohler products. If you do not see your desired item on our website, get in touch with our plumbing professionals. We will promptly order your product. View available products here. 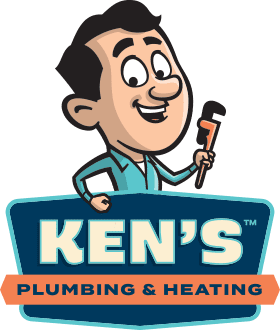 Ken's Plumbing & Heating has been providing quality plumbing services since 1989. Our team is fully licensed and insured, and have attained to the Master Plumber status. We offer a full range of services, including toilet, faucet, and drain repairs. If you're looking for a prompt, professional, and dependable plumber, call (516) 882-3390 today.